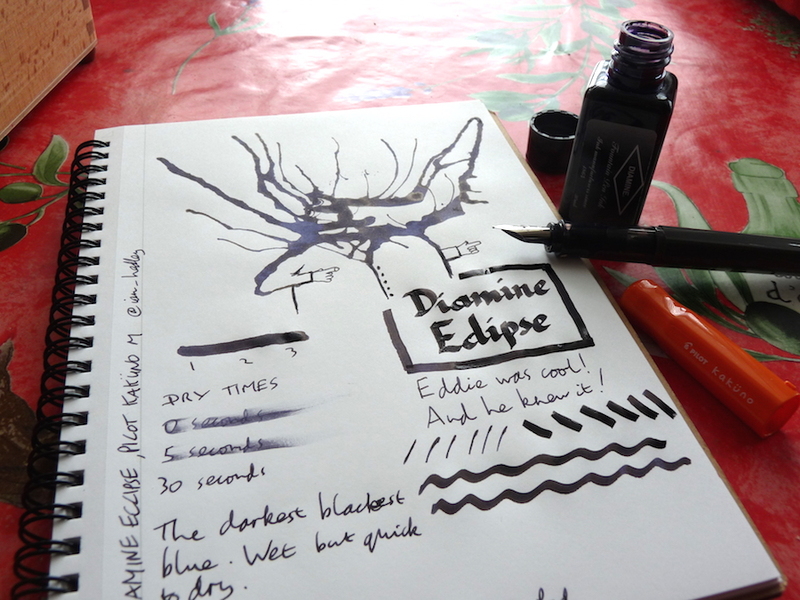 Diamine Eclipse Ink Review – Pens! Paper! Pencils! Diamine Eclipse is a great blue black, with the emphasis very much on the black. It flows well and dries quickly. 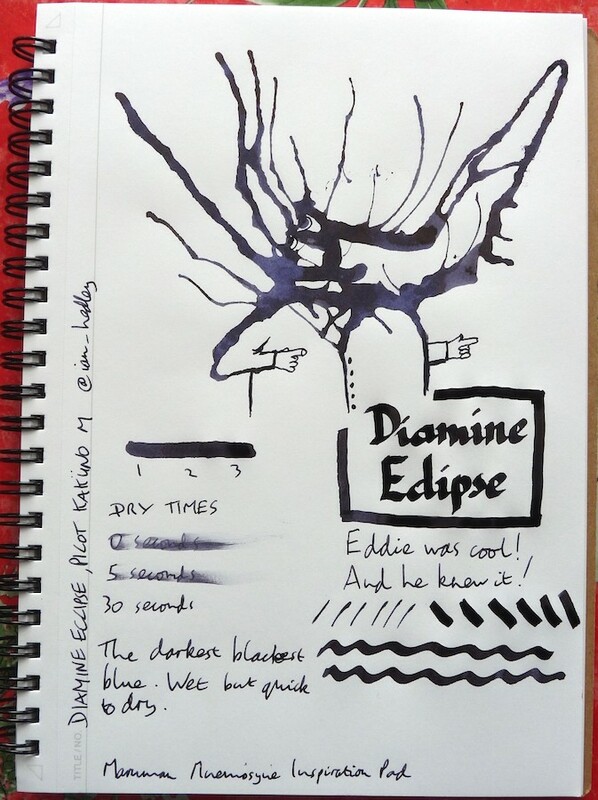 You can find some more reviews of Diamine Eclipse on Pennaquod.